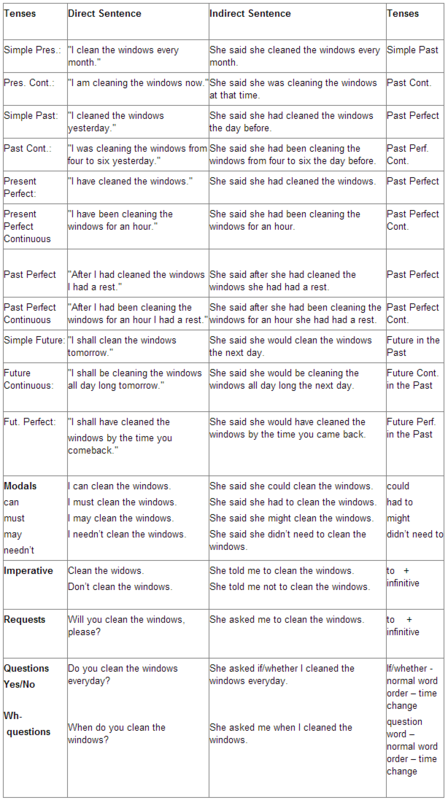 If the reporting verb is in the present tense, the tense of the sentence does not change. If the reported statement is always true we do not change its tense. E. g.: He said that cats don’t like dogs.